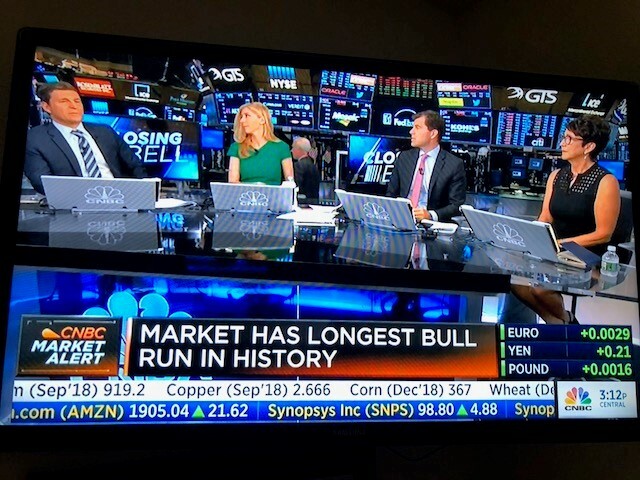 Closing Bell–Thank you Kelly Evans for being an outstanding host. For Benjamin Graham, the greatest risk facing an investor is not the market, but short-term, emotional reactions to stocks. Nancy Tengler discusses the importance of emotional discipline. Successful investors are students of history. Just as philosopher George Satayana famously declared: “Those who do not remember the past are condemned to repeat it,” so it is also true: Investors who do not study the historical performance of stocks are doomed to make costly mistakes. For Graham, the greatest risk facing the individual investor is not the market but our short-term reaction (often emotional) to stocks. We sometimes find ourselves “beset with confusions and temptation… frequently unconscious toward speculation, toward making money quickly and excitedly, toward participating in the moods … of the crowd.” In other words, Graham warns us to be wary of our natural proclivity to desire instant success. Gambling, lotteries and speculative trading appeal to the eternal hope etched on our imagination; the hope we just might win, we just might get rich quick. When Benjamin Franklin said, “An investment in knowledge pays the best interest,” he may have been anticipating the low to zero interest rates savers and investors have been contending with for years. Now it seems that rates have finally begun to rise, and contrary to conventional wisdom, that won’t necessarily be bad news for stocks. Since the end of January, the S&P 500 has returned a positive 7.1 percent, while the price of bonds has declined and the 10-year Treasury yield has risen 0.6 percent. Investors have been busy selling bonds in anticipation of the inevitable (and much-anticipated) hike by the Federal Reserve Board while economists and pundits handicap the date of the upcoming rate increase. June? September? 2016?